All offers are subject to availability and cannot be used in conjunction with any other offer. The management reserve the right to withdraw offers at any time without prior notice. 2 night’s bed and breakfast for 2 people in a standard room for £149.00. The offer includes £30 per couple per night allowance towards your food bill, when dining in our restaurant. This offer is available Sunday to Thursday, only when booking direct with the Royal Oak Hotel, upgrade to a deluxe room for only £10 pp per night, alternatively £15pp per night to a superior room. Terms & Conditions: Subject to availability. Not available on Bank Holiday weekends, not to be used in conjunction with any other offer. Management reserves the right to withdraw this offer at any time. RELAXING SUNDAYS - £99 WITH £20 ALLOWANCE TOWARDS SUNDAY LUNCH ROAST OR MAIN MENU. Check in at 2pm on Sunday (or drop bags earlier), visit Chester Zoo, Blue Aquarium, Cheshire Oaks Outlet Village, or a hearty walk along the famous Rocky Trail and the beautiful Cheshire countryside that surrounds us. Return to The Royal Oak and enjoy our famous Sunday Lunch, receiving a £20 allowance towards the total cost. Just £49.50pp per room, staying in a twin or double standard room. Alternatively, you can upgrade to a deluxe room for just £10pp, or to a superior room for £15pp. This offer is only available when booking directly with The Royal Oak hotel. Terms & Conditions: Subject to availability. Not available on Bank Holiday weekends, not to be used in conjunction with any other offer. Only available on Sunday night stays. Management reserves the right to withdraw this offer at any time. 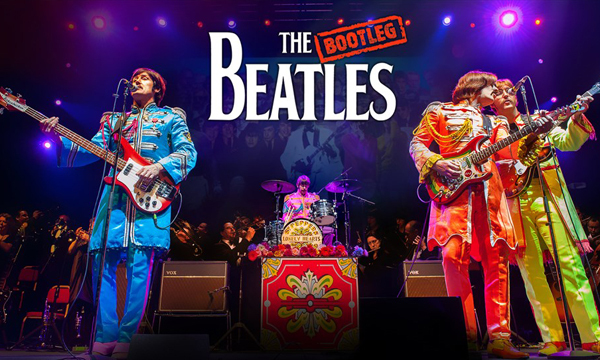 The world’s premier Beatles show continues to draw critical acclaim from across the globe with their immaculate note-perfect portrayal of the fab four’s journey through the swinging 60s. It’s all there - the costumes, the mannerisms, the witty banter and the period gear. The Royal Oak Theatre Package – Sunday December 8th 2019. This package is selling out fast (and would make an ideal Christmas present) so don't be disappointed and book now. Arrive Sunday 8th December from 12pm*. Just £149.00pp! Includes a £30 non refundable deposit.